Even before Republicans in the House showed their ObamaCare replacement plan to the world, I knew it would be an utter failure as policy and a nuclear winter politically. I knew this because Republicans have never talked about the two things that make American health care such a nightmare: its broken pricing system and its nightmarish complexity. And also because I have a Canadian friend. Have you ever tried to explain American pricing to a Canadian who recently received health care in the U.S.? I have. It's like two movies being spliced together. The American goes over the details of the hospital bill like a character explaining the ground rules in an absurdist comedy. "Oh, they billed you for something that didn't happen. Ha! That's normal. Don't panic. Or, not yet." But the Canadian is actually experiencing the same conversation as a horror movie. "I know I can't return the baby I just delivered and get a refund," she says, trying to joke with you, "but… are you really saying that I have to spend days or weeks of my life conducting simultaneous negotiations with multiple bureaucracies and that they are going to throw around inflated and terrifying numbers they deliberately know to be baseless?" "Ha! Well, keep in mind that there are no prices, really. Your insurer and the hospital are just making things up, and they hire armies of people to exhaust each other on the point. You're paying for them too, really." The end result will, of course, be a fat bill for my Canadian friend and her insurance company. Americans pay much more for health care than any other country on Earth, and we get worse outcomes for it. We also achieve much less than universal coverage. Our byzantine system of third-party negotiating and payment cartels, as well as the completely opaque system of pricing, also make maintaining coverage a stressful endeavor for citizens who need it. ObamaCare did not really change either the price or the complexity; it just helped more people experience this ugly system through normal, non-emergency means. Mostly it extended insurance coverage to a significant new group of previously uninsurable people (either because they were too sick or employed by a small firm or too poor). And it achieved this through a number of subsidies and new taxes. The one group that is mostly insulated from unpredictable bureaucratic stress and nightmarish visitations of bills is the upper-middle class, the people who proceed through most of their adult life going seamlessly from one well-compensated job (with health benefits) to another. America's upper middle class acts powerfully, instinctively, and viciously in defense of its own benefits. And so no health-care reform can be implemented that upsets their arrangements (which dates back to a New Deal-era tax quirk) without being political suicide. Even one that broke a promise and didn't let a relative handful of them "keep their plan" cost Democrats a House majority. Which brings us to the House Republicans' plan. This monstrosity manages to be more cowardly and cruel than anything it replaces. It repackages direct subsidies as tax credits. It lowers taxes and raises prices for the elderly. It will likely lead to millions of people losing their insurance. Some forever, but some only to expose them to the nightmare of trying to obtain it again. And yet it also fails to make any necessary changes to the system. It does nothing to tackle absurd cost obesity in the American system. 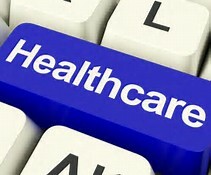 It does nothing to simplify health-care choices or markets for end users. And it can't make these changes because it dares not offer the slightest disturbance to the upper-middle-class people whose coverage is relatively better than everyone else's. Lacking the courage to actually solve the health-care problem, the House GOP seems to have devised a plan to satisfy only two goals: 1. to provide a plausible end to their seven-year campaign to repeal and replace ObamaCare; 2. to manipulate the government's fiscal projections in such a way that their future desired tax reform seems workable. The only way to reform American health care is for it to become so broken that the upper-middle class finds their own situation intolerable. Only then will the pain and disruption of market-led or government-led reform become politically rational. And we're a long way from that happening.